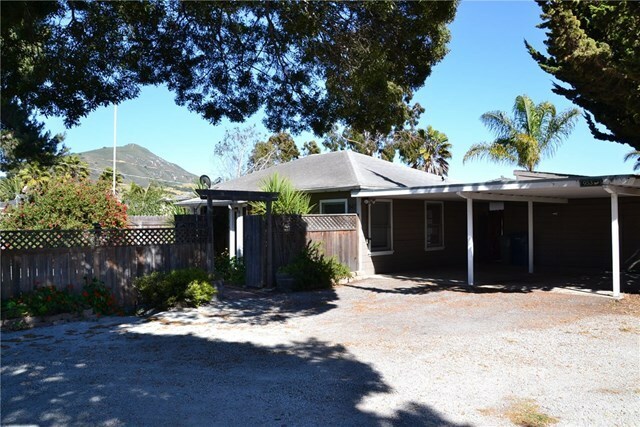 Great opportunity to own TWO homes in San Luis Obispo. Located just outside of city limits on half an acre with its own water source. The front house was built in 1954 and is a 2 bedroom 1 bath, approx. 720 sq'. Further back on the property, the second home was built in 1961 and is a 2 bedroom/2 bath, approx. 1,345 sq'. Homes are individually metered for gas and electricity. The kitchen and bathroom in the back home were recently updated along with a new roof. Could be a great income property or perfect for the extended family to live on site. Contact your Realtor today to schedule a showing. Directions: Traveling East on Foothill Blvd. from LOVR, the homes will be on your Right side after you've passed O'Conner Way.